I made banana bread a few days ago. 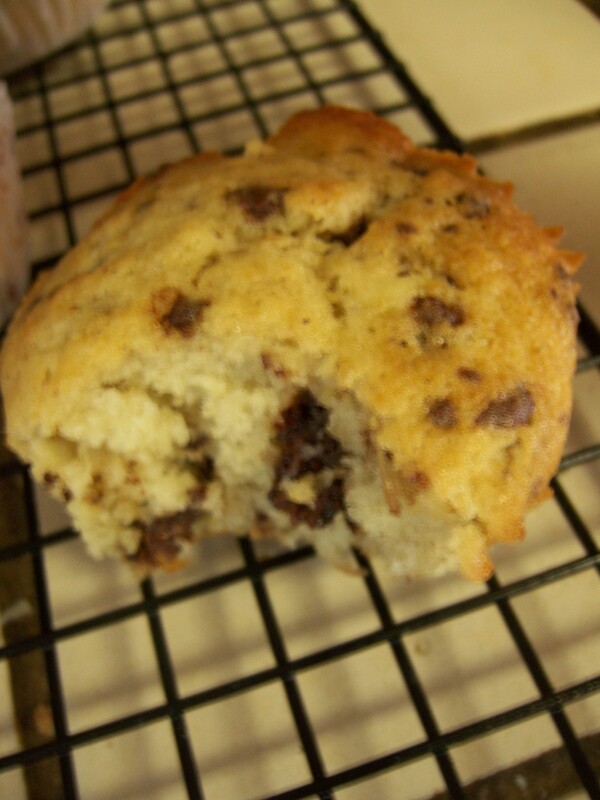 I used the old family recipe, but this time, I added milk chocolate chunks. It was moist and good. I made one loaf and six muffins from one recipe. Simple and sweet. optional additions: approx. 1 cup of any of the following: chopped chocolate (or chocolate chips), chopped nuts (either pecan or walnuts) or any combination of these would be good. Heat oven to 350º. Blend butter, sugar, and eggs together until smooth. Add pureed banana and vanilla. Add dry ingredients and mix well till completely blended. Fold in additions, if using. Grease and line baking tin. Bake for approximately 55-60 minutes until slightly browned on top. 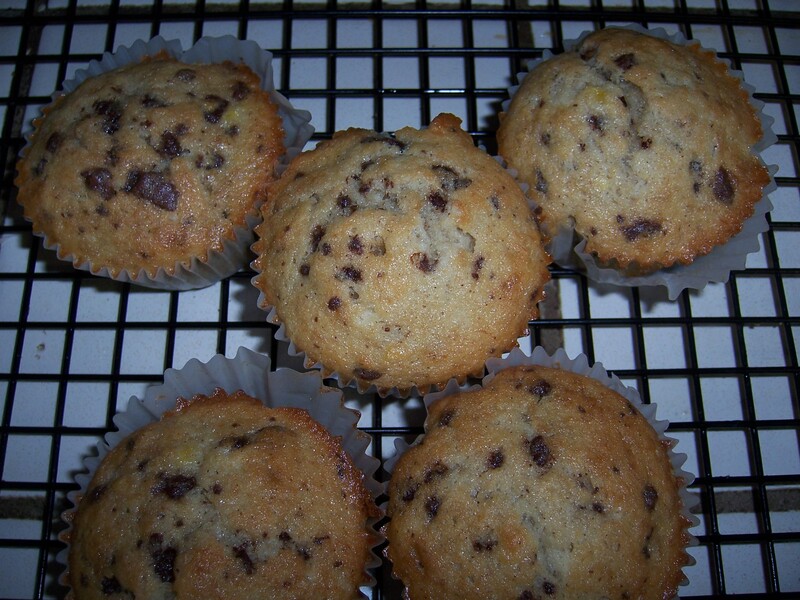 For muffins-Bake at 375º for 22-25 minutes. Let cool on rack. Eat and enjoy! 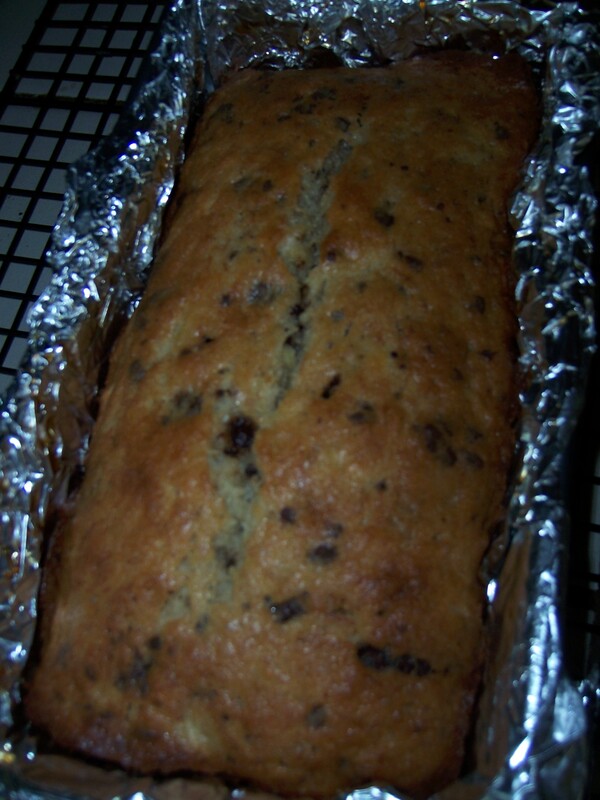 This entry was posted in banana bread, chocolate, chocolate chips, muffins, recipe. Bookmark the permalink. I love banana bread. Really the only fruit/veggie bread that I like.